There is nothing more satisfying than biting into a delicious strawberry that you’ve grown through your own aquaponics strawberries setup. However, while strawberries are generally fairly easy to grow, there are a few important points you need to note. The following will help to ensure you are successful at growing strawberries in aquaponics the first time you try it. 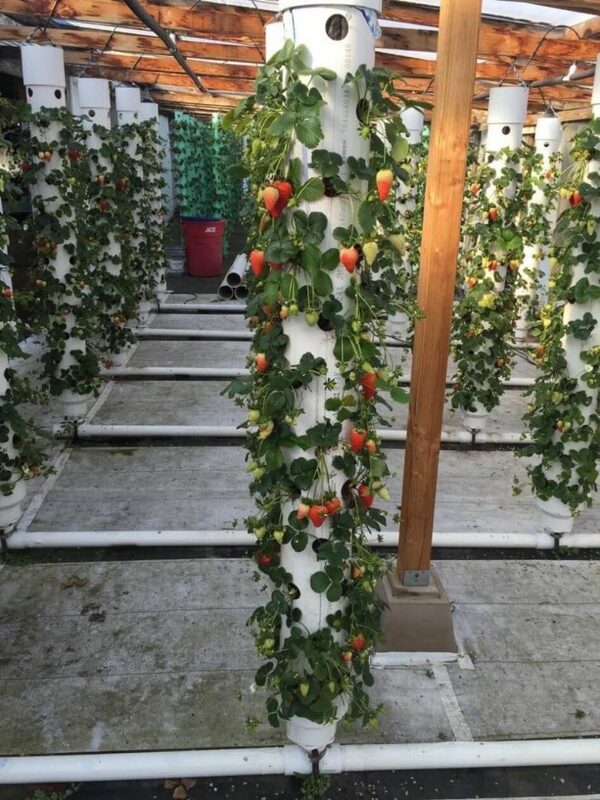 If you’ve ever tried growing strawberries in soil then you’ll appreciate that a vertical strawberry tower can really help you to get the right results; the same is true with aquaponics strawberries. Strawberries actually prefer cooler temperatures which is why you don’t generally see strawberries growing in the desert. Although, if you do live in a hot climate, you could try growing the strawberries in the cooler winter months. Strawberry plants need warm water to photosynthesize. However, they don’t need hot water. This is why you’ll need to keep the water in your tank between 70°F and 85°F. The best air temperature for strawberries to flower in and then fruit is between 60°F and 80°F. That’s a fairly broad range which should make it very easy to choose your fish, virtually anything will be comfortable in these temperatures. It’s worth noting that the air temperature is more important for the successful flowering of this plant; and the ultimate fruit. While the daytime temperature is acceptable between 60-80°F, the nighttime temperature can be allowed to drop to 55°F, this will reduce the speed at which your plants develop but will help them become larger. 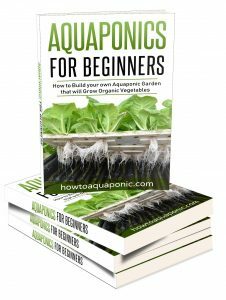 The pH of your water must be right for both fish and your aquaponics strawberries. Strawberries thrive best when the water has a pH of between 5.5 and 6.5; if the water is too acidic it will kill them. A nitrate level of 40ppm is effective at providing enough food for your aquaponics strawberries. But, strawberries actually need more ammonium than nitrates when they are in their vegetative stage. Nitrogen is the central component of all amino acids; which are the building blocks for protein and growth in any living being. A shortage of nitrogen in strawberry plants will show as smaller leaves which can become brittle. 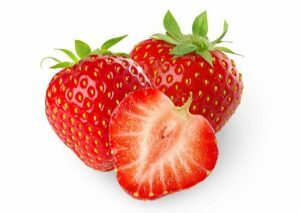 Aquaponics strawberries are not excessively demanding for nutrients but you do need to monitor the pH and nitrates regularly; they’ll respond very quickly to a change in the level of nitrates. You should be able to successfully grow aquaponics strawberries in virtually any media. However, while the traditional gravel media bed is an acceptable option; it’s not as effective as creating a vertical strawberry tower. If you’re looking to add an aquaponics tower to your system then you should consider creating the PVC strawberry tower. This is a simple PVC tube with holes cut on each side. The holes are staggered to ensure the maximum number of plants in a minimal amount of space. The fish waste water is then pumped into the top of the pipe, allowing it to trickle down the walls and onto the roots of the various plants. This is a great way of keeping the roots wet without getting the crowns wet all the time. Strawberries don’t generally flourish when their crowns are wet. The PVC strawberry tower is very cheap and easy to make, you can even add extra towers as needed to expand your aquaponics strawberries system; if required. Another option which is used by commercial aquaponics strawberries systems is the floating raft. These are simply sheets of polystyrene or trays with small holes that allow the roots of each plant to sit in the water as the raft floats along your water trough. Again, this ensures nutrients can be accessed without the crown getting wet. The advantage this has in a commercial setup is that the rafts can be lifted out of the system, dealt with and returned. This makes it very easy to harvest the strawberries in a commercial set up. But, if you’re just growing these on a small scale at home, the PVC strawberry tower is the best option for saving space and creating a good yield. Where to Get Strawberry Plants? You can purchase strawberry plants at virtually any garden store and they should grow well in your system. You can even take cuttings from other plants if you know of some or someone who already keeps them. But, to ensure a high yield it is a better idea to visit a local strawberry farmer and purchase some plants from them. These will have been made to produce lots of strawberries which will help you as you start your aquaponics strawberries systems. The pH of strawberries is a little lower than some of the other plants you could be growing. However, it is still well within the tolerance range of most fish. 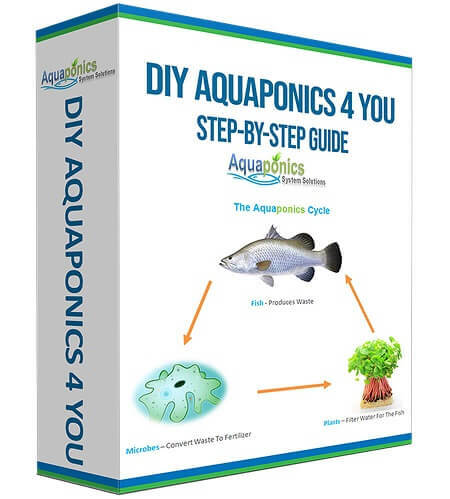 If you’re new to aquaponics then tilapia is the most logical choice as they are extremely tolerant of changes in the water quality. If you’re feeling a little more adventurous then crappie, koi carp, or even sunfish should all be happy at feeding your strawberries. Many people try aquaponics strawberries without success. This is because they often fail to monitor the water quality properly. While the plants need nitrates to survive, it’s the high levels of ammonia that can quickly kill them off. 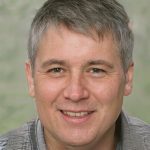 If you have too many fish for your grow bed size, or not enough bacteria converting the ammonia to nitrates, your plants and fish are going to suffer. In turn, the aquaponic strawberries will not be able to create the optimum and clean environment the fish desire. The fish will become sluggish and even start to die as your strawberries wilt. But, monitoring and making small adjustments to the nutrients in your tank is all it takes to be successful at aquaponic strawberries.